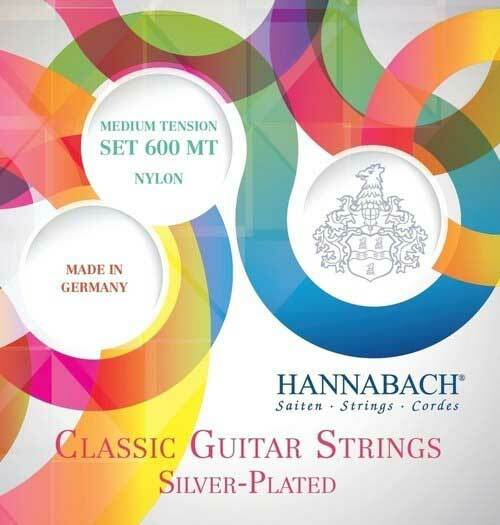 Series 600Hannabach Classical Guitar strings Silver-Plated - strings in legendary Hannabach quality for an affordable price.Great in tuning. Clear, transparent sound. The treble strings are ofexcellent playability. The basses feature aspecially silver plated winding and are coated, the material is made in Germany.